If Twitter is a mouthpiece, Donald Trump owns the lips blowing hot air into the business end of it. He’s criticized celebrities, pouted about SNL skits, berated journalists, and even threatened war, all while managing to keep his tirades under 140 characters. And some Twitter users, it seems, have had enough. A new GoFundMe campaign hopes to buy the platform with a singular goal in mind: to shut up Donald Trump. 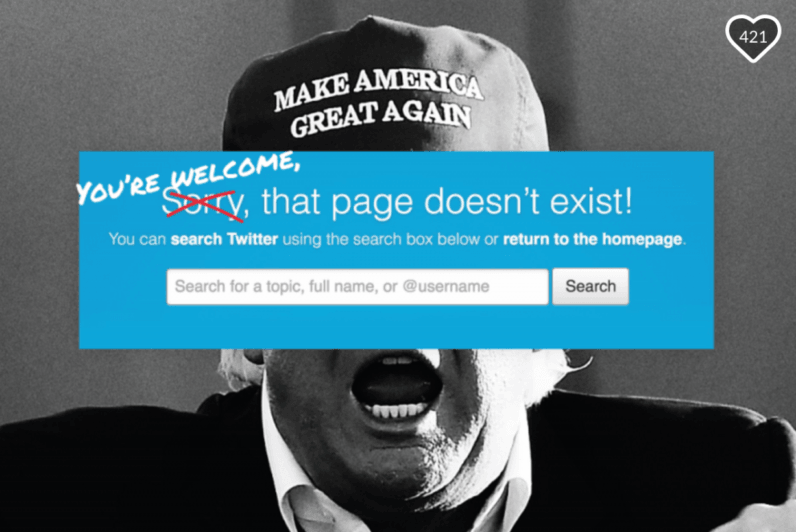 Trump has fully weaponized Twitter: it’s not something that just happens “online.” Time and again his use of this huge global platform has major consequences in the real world. With a single tweet, he can damage international relationships and alliances, spread fake news like a virus, embolden white supremacists to march in the streets, or send stock markets crashing or soaring. Do we want to find out if his tweets can put nuclear missiles in the air, too? The campaign, organized Valerie Plame, an ex-CIA operative who now goes by Valerie Plame Wilson, has a $1 billion target. So far it’s hit just over $13 thousand in donations. Twitter’s current valuation sits at around $12 billion. It seems unlikely we’ll ever have to cross this bridge, but for now it remains unclear what Wilson would do with the investments should the campaign hit its goal. To be clear, Wilson doesn’t intend to purchase Twitter outright. Instead, the campaign implores would-be philanthropists to purchase a controlling interest in the platform, a move that would give the conglomerate significant power — although perhaps not quite enough to oust current CEO Jack Dorsey and enact its own rules. Then there’s the issue of — in some far-off dreamscape of a world — who would run the platform. You’d obviously have to oust Jack Dorsey, as he’s mostly turned a blind eye and allowed Trump to run amok with his platform — bending the terms of service to suit his cash cow (Trump) on numerous occasions. Real-world complexities aside, it’s fun to think about.